Increase productivity by getting up to speed on the Hotkeys available in GeoTeric. All the key workflows in GeoTeric are supported by Hotkeys to streamline the user experience and increase productivity. 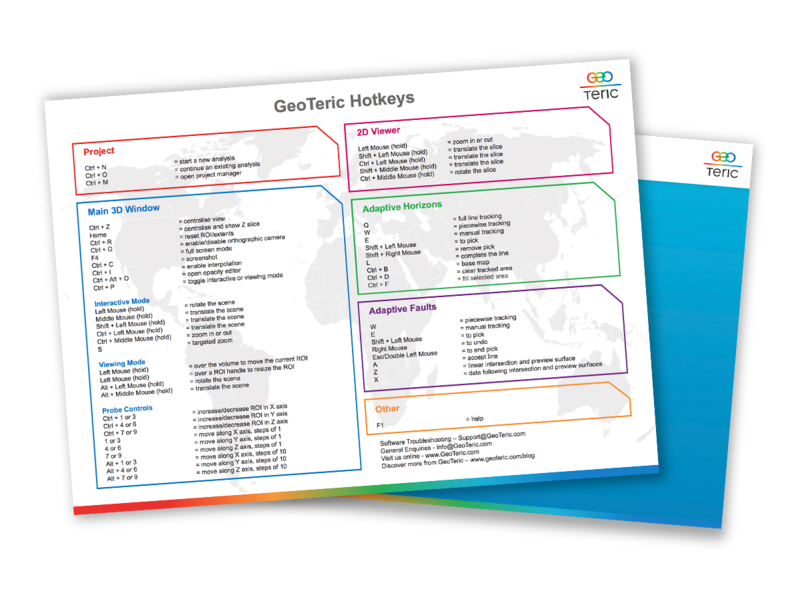 This user guide details the hotkeys available in the different tools in GeoTeric.